I'd honestly just edit your own mod, idk what the differences exactly between your mod/version and the one made by afro (for macnewby) but they are both not updated to 40.06 from what I saw. I posted here the changes that need to be made http://www.bay12forums.com/smf/index.php?topic=126076.msg5549901#msg5549901, the same need to be changed for the macnewbypack. I'm still updating that post currently. Yeah those twigs definitely look better. The only difference is a few minor, "personal choice" changes, they've mostly been incorporated into MacNewbie but there's still differences with the Windows and Linux newbie packs. I posted here the changes that need to be made http://www.bay12forums.com/smf/index.php?topic=126076.msg5549901#msg5549901, the same need to be changed for the macnewbypack. I'm still updating that post currently. OK, diff'd df05 with df06 and merged into spacefox05 and I think I'm there. Diff'ing spcaefox06 with df06 gives a bunch of tile changes and what I think are a couple of "fixes" (mussel blood and cookable quarry bush leaves). creature_small_ocean and plant_standard still have a few problems. Other than that is looks good. Those are the "fixes" I was talking about. As far as I can tell there's reasons for them being there and I'm hesitant to touch them. LINK to working 40.06 Spacefox standalone : Just extract into a clean DF40.06 install and replace everything. Thanks for the help LeoCean. Yeah but those fixes are in more than just those files and phoebus and ironhands graphics packs make them. I think that stuff was from 40.05 as some of the things that you just fixed weren't done for 40.05 either. Ds_store files in the latest one, and your welcome but really I wanted it fixed so that the guys over at http://www.bay12forums.com/smf/index.php?topic=141715.0 can get a spacefox version out soon. What program do you use to edit tilesets? I want to edit the spacefox one so that I can add some phoebus stuff to it for personal use. Yeah but those fixes are in more than just those files and phoebus and ironhands graphics packs make them. I think that stuff was from 40.05 as some of the things that you just fixed weren't done for 40.05 either. Oh, I see. I assumed they were there intentionally because they were in 40.05 but they might have been missed. and your welcome but really I wanted it fixed so that the guys over at http://www.bay12forums.com/smf/index.php?topic=141715.0 can get a spacefox version out soon. Ah my bad I forgot to say that you'd need to replace the other language files if you replaced the language_words file, so dwarfs, humans, elf, goblins, sym all need to be copied. Idk how I forgot about it when I saw you did just copy the language_words file. Aren't they already just duplicates? Or is my diff program faulty? Opps, I must have clicked the wrong one when I looked... They are the same.. Could be why I didn't notice there wasn't a difference and then when I looked again I used the wrong folder. .
Any chance anyone feels like making a set of overrides like the ones meph did (http://imgur.com/ZXBhkqz) that's a bit more consistent with the spacefox style? Any reason for leaving out the afro-goblins in favour of the phoebus goblins? No reason other than I've never seen them before. It's hard to notice what the goblins in the afro pack are compared to the phoebus ones. That's why I switch them out for the phoebus ones anyway. Seems the graphics files are a little out of date to, phoebus pack has updated certain animals which aren't in spacefox's pack. Fricy already updated it for 40.07, great job! For standalone installation go to the Spacefox github page, select "Download ZIP", then extract it into a clean 40.07 install and replace everything. edit: Actually, that's a pain. Github must zip it's files strangely because the normal practise isn't working. That update is still pretty outdated. Got rid of , for wasteland tiles and updated it in line with Phoebus for the new creatures that were added in 0_40_0+, also added 2 other tileset versions with the other tracks Joist added from Phoebus's tileset. I did update it to include afros new elves and (goblin which I didn't use). The elves in the spacefox pack you have are outdated because they point to [DRUID:JIRI_E:6:0:AS_IS:DEFAULT] ect. Spacefox 0.40.14/15/16 twbt Lazynewbpack doesn't transfer overides.txt to the main Dwarf Fortress 0.40.0#\data\init folder so you have to manually move that. It may now. Included in twbt version also. Mainly spacefox compatible but most overrides will work regardless, the roots are the main ones that won't be compatible. But still shouldn't bring up any errors when they don't work. Or this https://github.com/fricy/Spacefox/tree/master Most up to date version 40.19+ updated by fricy. It is recommended that you create your worlds with the non twbt version as the twbt version does use text tiles instead of the graphics tiles on the embark screens + there's more weird looking graphical things (see for yourself). (May be fixed in future versions. Also the willow tree will be moved back to tile 244 instead of 5 in the next version, it's just to much of a bother right now to update 4 versions once again (there's a few files that'd need to change for it to work right) for now you will see the leaves tile instead of willow trees as marshlands on embark screen. Hardly a big deal but it'll be changed and of course water tiles hopefully. Idk when that update will be. Depends if there's other bugs or not. - Just updated the changes between versions, [Large Predator] Grazing ect. - Varied_ground:no to yes. Since people were using it and I wasn't. So I fixed it in 40.12v1. - tile 182 (Default branches) Changed to be bamboo. Add Bamboo tile from overrides tileset. [GRASS_TILES:182:182:182:182] Requires alt tiles. - tile 130 changed from custom plant to Plant from other_square_16x16 Gulliman tileset/overrides tileset. - Look into making ironhand stairs into spacefox stairs, do the same for up/down stair. - May take some other tiles from ironhand. - Look into accelerated version of the mod. - Look at mlc twbt set. - re-edited TREE_TILE:'s back to originals so that it doesn't look weird on embark. Those tiles shouldn't show up after embark. - Matched Saguaro and blood thorn trees to ones that actually look like them. - Highwood Tree tile 79? Instead of a cup. - Replaced Tile 23 with old tile 5, Since it was not used. And 5 was. Added YOR + 2 other twbt versions + Original version updated. - added tile 46 from phoebus and edited it to make it brighter. - Switched tile 147 (now long plant) with 231 (now sapling) since saplings were using the plant tile. - Edited plant_standard.txt mainly fixing graphic tiles plants use. - Added root_muck/TUBER_BLOATED,BERRIES_PRICKLE,GRASS_LONGLAND,HERB_VALLEY(pcl) shrub:tile fix phoebus added. - Edited tile 5, smaller shrub now. With bulbs/flowers.Changed that again by moving the new one to tile 18 replacing the old berry bush? - Added [SAPLING_TILE:29] to TOWER_CAP, and other subterranean trees. - Readded old tile 7/ stone. To replace the phoebus one I added in. Then customized the rock. - Added grass tile to behind shrubs 18 + 34. - Left spacefox_16x16_text as old version since it doesn't need a update yet. - Touched up the dinit.txt tree/root tiles, is open to changes in the next version. - changed inorganic_stone_gem tiles to match Phoebus tiles as I didn't feel the current ones fit. - updated tileset once again as ; showed up in a workshop. - Updated tileset's so that they could be interchanged easier to fit with the trees. - Changed trees to match phoebus trees more or less, still not the same until TWGT is activated on dfhack. Pretty good as they are now. May need changing. - Changed the ; to a tool set so that shops aren't built with ; in them.. Then created new tool set since I didn't want both to be the same. -Added Hammer/ hacket idea from Mastwork Pheobus set. - Replaced tile 7 (rock) with tile 7 from phoebus pack. So it looked more like a rock/ rubble than a pebble. - Gave tile 237 a flatter top. - Took idea from Masterwork Phoebus for tile 58. - Changed tile 40, 41 to bows so that bowyer had a image and not a ) or ( Idea taken from masterwork phoebus. - Changed tile 111, using Masterwork Phoebus tile idea. - Changed tile 219 to Mephs masterwork tile. - Commented out afro cat and dogs. Readded Phoebus cats/dogs. -updated plants_crops [GROWTH_PRINT:0: tiles to [GROWTH_PRINT:147: since the graphic was not being used. -updated plants_garden [GROWTH_PRINT:'%': and [GROWTH_PRINT:'*': to [GROWTH_PRINT:147:, then undone those changes. - updated plants_grasses [GRASS_TILES:'O':'o':9:248] to [GRASS_TILES:28:29:28:29]. Special thanks to Phoebus for creating his tileset and letting me use his work and of course to Spacefox for creating this beautiful tileset. Wouldn't be possible without both of you. - Joist for his pillar tile for the tileset plus the ideas he gave me for this tileset. - Fricy I'm sure he contributed to the Spacefox pack I just don't know how and for his work on the MacNewbie Pack. - Phoebus for his tireless work on the Phoebus pack. - Afro for his new creature/elves/goblin tilesets to go with spacefox and what ever else he has done for the Spacefox pack. - PeridexisErrant for his starter pack. I don't know if I could play dwarf fortress without your work on the starter pack . - All the other people who weren't mentioned because I don't know of them and thanks to all those Phoebus and Spacefox give credits to below. Thanks for your work. - BradUffner for his cool Modding Tool: Raw Explorer. I'm using fonts from Phoebus, Bisasam, Phssthpok, Guybrush and Martin. Ironhand is the creator of most of the textures used in the tileset. Mineral textures, ground textures, wall textures. I've also taken a few tiles from his tileset. RantingRodent is the source of the mineral tiles used in this set, both symbolic and graphic mineral tiles. He's also the source of the accent removal mod that I use to free more tiles to use as mineral tiles, plants and vermins. Hermano's tileset was the inspiration that made me start my own tileset, it's also the base of my tileset. The tiles that I'm still using from is set are many: Most trees, most vermins, most furniture & containers, most jewelry & crafts, prepared food, adventurer tile, traps, mechanisms, cloth, blade trap, anvil, thread, crossbow, hill icon, weapon rack & a few more. Hermano is also to thanks for his incredibly useful tileset utilities. krenshala for providing a custom tileset with really nice tiles. From DrD_AVEL's Gold Plated tileset I've taken: most plants, the walls, doors and hatches, river & road tiles, armor rack, ropes & logs, palm trees, the body part tile & the spider. From Darkond's Dig Deeper tileset I've taken: boulders, clothing icon, dimple cup icon, sweet pod icon, withered plant icon, tree top icon & lever icons. From Isenhertz's tileset I've taken the shrub icon. This project started as a modification of Phoebus' Graphic Set and as of today, still retains graphical assets from many different contributors. I've gone ahead and listed pretty much the full credits in Phoebus' Set below. - Sphr: Humans, Elves, Goblins, Kobolds, large mountain & riverlake creatures, monsters, subterranean creatures and several wildlife creatures. - NW_Kohaku has created most of the tiles for the new creatures in 0.34.01. - Jiri Petru improved and expanded Sphr's elf tileset. - Kafine created tiles for several new birds and sea creaturesin 0.34.01. - Bane has created tiles for the majority of normal animals in the game. Amongst the 49 creatures we can find dogs, crocodiles, gorillas and tigers. - Magnut has created the tiles for the new v0.31 underground creatures. Examples: cave blobs, cave dragon, green devourer and magma crabs. - Deon has expanded Sphr's creature tilesets with new tiles for most of the important races. - I want to thank AlexanderOcias the creator of Jolly Bastion for inspiring me to create my own graphical set. I'm using a slightly modified version of his Color.txt file and i've referenced his doors and walls for my own set. 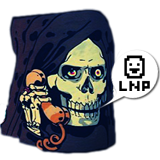 - PeridexisErrant for the Updated LNB which i personally use for play/mod dwarf fortress. - BradUffner for his modding tool Raw Explorer which has been are great help to me and which i recommend to any people who mod or create graphics assets for Dwarf Fortress. dwarffortresswiki.org For lots of helpful articles on colour and transparencies and tile-sets. Also special thanks to Taffer, Frici, Obsidian soul, Deon, Meph and everyone who helped in my previous post.